BOO AT THE ZOO OPENS OCTOBER 17 at Zoo Atlanta! 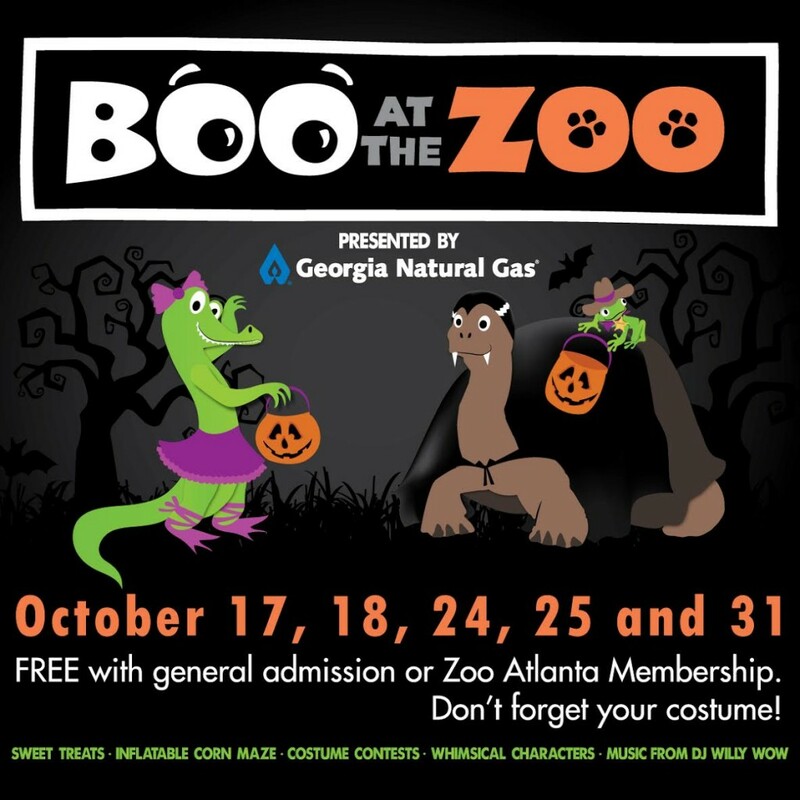 Atlanta’s favorite fun family Halloween festival returns with opening day of Boo at the Zoo presented by Georgia Natural Gas on Saturday, October 17, 2015. The signature fall event continues on Sunday, October 18; Saturday and Sunday, October 24 and 25; and Halloween Saturday, October 31. Zoo Atlanta’s grounds will be transformed by Halloween décor, especially in the Ford Pavilion, which reinvents itself for the season as Zoo Boo Town, a magical destination of whimsical sights and characters. Costumes are welcome and encouraged.